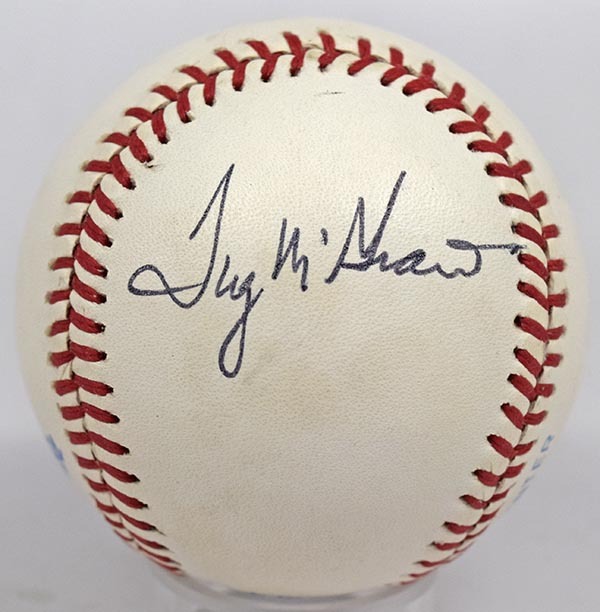 High quality Tug McGraw single, it is very unusual to find him on a MacPhail ball. Signed in perfect black ballpoint ink in his usual spot on a side panel, this presents very well. JSA LOA.